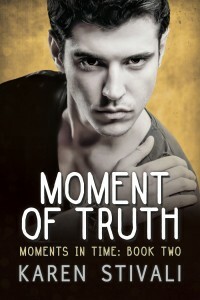 Congratulations on the release of Moment of Truth! As for your question. The most defining/memorable moment in my life was the birth of my oldest son who is now 11 years. His birth took us by surprise because he was born 10 weeks premature. It was a very emotional time and it still is. Because of his premature birth he has sufferd brain damage and he is multiple disabled. But he is happy and he makes me realise you have to be happy with what you got and not always wanting more. Wow, Angela, that is definitely a moment where everything changed for you. I’m glad to hear your son is happy. You must be doing an excellent parenting job! I’m so happy you enjoyed Moment Of Impact. And I agree…the cover model on book two is rather nice to look at. 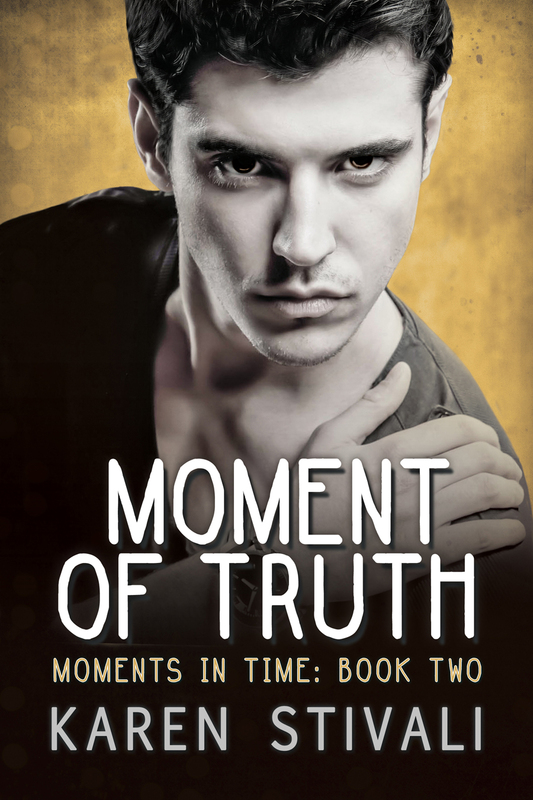 Congrats on the release of Moment of Truth.I enjoyed Moment of Impact and look forward to giving this a read soon. I had a moment in which a friend confessed something horrible that had been happening to them. I worried for them and tried to be supportive but then the person accused me of something and it pushed me a bit over. The person had already shown signs of a lot of change and it just felt like things between is were getting worse. An argument between us was the last straw and we parted on bad terms. It was hard to lose that friend after years of friendship but the individual made me feel like a horrible person and questioned my character which hurt a lot. That sounds like a very upsetting “moment” H.B. but I think everyone goes through something like that at some point. I hope it changed things for the better in the long run. Sometimes people aren’t meant to stay in each other’s lives. So glad you enjoyed Moment Of Impact. I hope you enjoy the rest of the series too! Congrats on this 2nd book in the series! I just bought the first book last night. 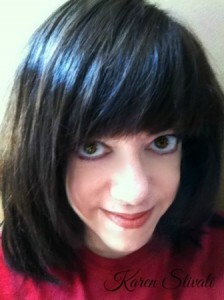 A defining moment was when I decided and moved from my home town to Los Angeles. Yes, JJ. Moves are always defining moments. I moved to rural NH twelve years ago having never set foot in the state before. It was quite a change for an ex-NewYorker but I love it here. Definitely a moment that changed everything. Thanks for the good wishes. 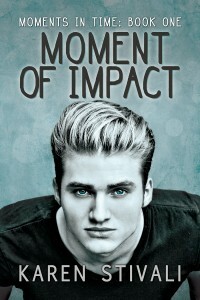 I hope you enjoy Moment Of Impact! Trix! You won the giveaway from my first release day back in January but you never emailed me to claim your prize so I didn’t know how to contact you—hope you see this post! Please contact me at karenstivali@gmail.com so I can get it to you! And the random winner from this post is H.B.! H.B. Please email me at karenstivali@gmail.com to claim your free ebook!